Polio Australia is privileged to have five Parliamentary Patrons. Their bi-partisan support for our cause is vital as we endeavour to seek Federal funding for best-practice services for polio survivors across Australia. During his time in the Federal Parliament, Mark has held the positions of Deputy Speaker of the House of Representatives, National Party’s Chief Whip, Shadow Parliamentary Secretary for Ageing and the Voluntary Sector, Shadow Parliamentary Secretary for Water and Conservation and Shadow Parliamentary Secretary for Regional Development and Emerging Trade Markets. Mark has also served on numerous parliamentary committees since entering Federal Parliament in 2007. Steve has lived in the electorate of Hindmarsh his entire life. Steve has worked on a factory assembly line, as an underwriter, a policy adviser and a taxi driver. He is currently working as an organiser advocating for workers’ rights in the airline and local government sectors. 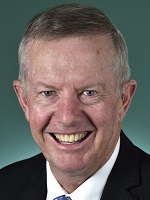 Previously, Steve held the seat of Hindmarsh and served as the Second Deputy Speaker of the House of Representatives. He served on many committees, including as Chair of the Health and Ageing Committee. 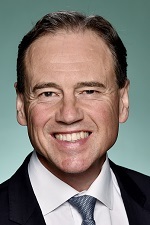 Greg was elected as the Federal Member for Flinders in 2001, and became Parliamentary Secretary to the Minister for the Environment and Heritage and then Parliamentary Secretary to the Minister for Foreign Affairs as a young MP in the Howard Government. Greg was Shadow Minister for the Environment from 2007-2013, and was Minister for the Environment between September 2013 and July 2016. Greg was appointed Minister for Industry, Innovation and Science in July 2016 and was responsible for implementing the Government’s innovation agenda and ensuring support for Australian jobs today, tomorrow and the jobs of the future. In January 2017, Greg was appointed Minister for Health and Sport. Greg is incredibly passionate about the health portfolio and his vision is to ensure that Australia has the best health care system in the world. 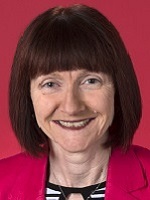 Catherine King was first elected to Federal Parliament in 2001 to represent the electorate of Ballarat. She was appointed Parliamentary Secretary in the portfolios of Health and Ageing and Infrastructure and Transport in the Gillard Government following the 2010 election. In March 2013, Catherine was elevated to the roles of Minister for Regional Services, Local Communities and Territories and Minister for Road Safety in the Gillard Government. She was subsequently promoted to Cabinet on 1 July 2013, as Minister for Regional Australia, Local Government and Territories in the Rudd Government. In October 2013, Catherine was appointed to the role of Shadow Minister for Health in the Shadow Cabinet led by the Hon. Bill Shorten. She is one of ten Australian Greens MPs in the current Parliament and together they have established a track record of positive, solution-focused negotiations with all parties in Parliament. In addition to her work in Perth and Canberra, Rachel regularly visits the regions and remote communities discuss critical social, health, agricultural and environmental issues.